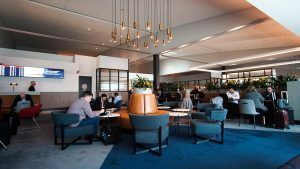 There a few partnerships that Velocity Frequent Flyer Members can take advantage of to earn Velocity points for hotel stays – domestically in New Zealand, across the Tasman in Australia, and beyond. This post is intended as a brief overview – a guide for those who didn’t realise you could also earn Velocity points from your hotel stays and want to know the basics. To analyse the partnerships, I compared how much five hotels in Adelaide would cost on a random weeknight in March 2017 and found that Kaligo offered the cheapest price for three of them, and Agoda for two of them. 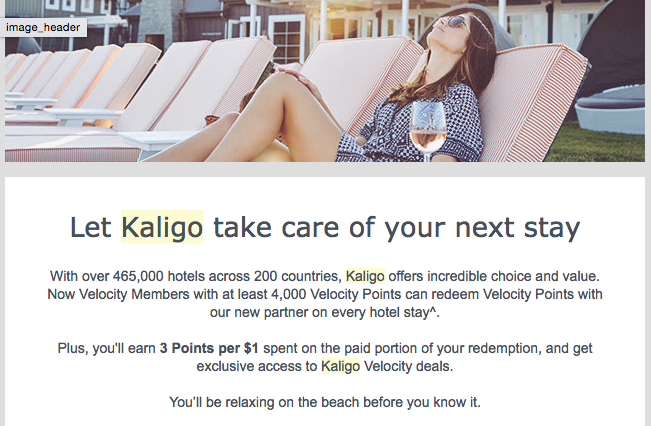 But Kaligo comes with a catch – you have to redeem Velocity points as well. If you book by 30 November 2017 (for stays even after that date), then you’ll earn triple Velocity points on your booking/s. Kaligo’s offering does not represent great value, as according to our target redemption value for Velocity points at 2 cents, Kaligo’s pricing would need to be more than $80 cheaper (4000 x 0.020) than the other two to make it worthwhile parting with your points. I didn’t see a price discrepancy this big when comparing between the three portals, and the 2c target is the lowest you should go for when making a redemption in my view. Velocity Frequent Flyer has partnered with a number of hotels and resorts in and outside New Zealand and Australia. 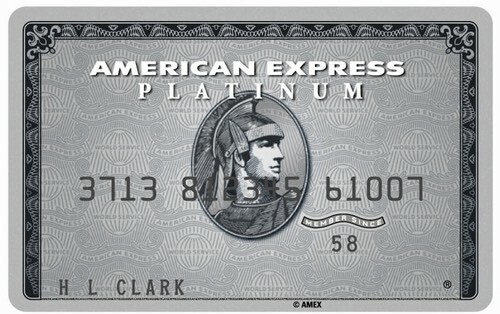 If you book directly with one of these partners, you’ll earn Velocity Points for your stay, if on a qualifying rate. To earn points, show your Velocity membership card during check-in or add your frequent flyer number to the hotel booking over the phone or online before you stay. If you don’t have your physical membership card on you, you can always download the Virgin Australia app and display your card through that. This table lists all participating Hotel Partners, and the number of points you can earn. Note that you can only earn miles at Hilton properties via Hilton points transfer only as of 2 April 2018. You can also earn Velocity Points when you transfer your existing hotel loyalty program points from participating hotel partners to your Velocity Account. In many cases if you know you want to only earn and keep Velocity points, and aren’t aiming for hotel program status you would be better to earn Velocity points directly into your Velocity account rather than target hotel programs. Some exceptions to this might include specific hotel bonus promotions to earn you points from your stay in the hotel program. Earning Velocity points from hotel stays isn’t hard – in fact, if you’re loyal to Velocity you’d be silly not to try and book your hotel stays in a way to maximise your points. There’s a large range of Velocity and hotel partners to take advantage of – and as always, do your comparisons and sums to make sure you’re not missing out on a better cash deal by booking elsewhere.